Leilani Chan (playwright/director) is an award winning performance artist, actor, playwright, director, cultural worker, and Founding Artistic Director of TeAda Productions. Leilani Chan’s newest collaboration with Ova Saopeng is Masters of the Currents, which will have its continental tour premiere in October 2018 at Brava Theater. Masters of the Currents’ inter-island tour played at Maui Arts & Cultural Center (MACC) and Hilo Performing Arts Center in March of 2018. Developed through the New England Foundation for the Arts - National Theater Project award to work with the Micronesian community in Hawai’i, Masters of the Currentsplayed in October 2017 at the Honolulu Theatre for Youth Tenney Theatre. Leilani received her 3rd National Performance Network Creation Fund led by Intermedia Arts and Co-commissioned by East West Players for Global Taxi Driver, a transnational community-based ensemble performance exploring immigration and mobility in the 21st century. Leilani is co-creator of Refugee Nation, the first nationally touring play about Laotian refugees in the U.S. that was commissioned through MAP Fund, NPN Creation Fund and by Legacies of War. Leilani is currently serving as Board Secretary for the Consortium of Asian American Theaters and Artists (CAATA). Leilani received the 2009 Rainbow Award from the Los Angeles Women's Theater Festival. She currently resides in Los Angeles, CA. Born & raised in Hawai’i, Leilani attended Hampshire College and obtained her M.F.A. from U.C. Irvine in 2004. Ova Saopeng (playwright) is an actor, teaching artist, associate artistic director and producer with Los Angeles based TeAda Productions. Born in Savannakhet, Laos, and raised in Hawaii he received a B.A. in Theater from the University of Southern California. With his partner Leilani Chan, the terrific two continue to collaborate and recently toured Masters of the Currents in Hawaii and now sharing this work with the continent. Ova is also co-creator of Refugee Nationthe only nationally touring play about the Lao-American experience. The critically acclaimed play received numerous awards including MAP Fund, National Performance Network’s Creation Fund, and California Council For the Humanities and a “GO!” review in the 2012 LA Weekly. Previous works with TeAda Productions include:Kalo Projects, Native Immigrant,TeAdaWorks,Delicious Reality,Refugee State, all work that focus on highlighting the refugee and immigrant experience. He has performed in the world premiere of Global Taxi Driverat Intermedia Arts in Minneapolis and the west coast premiere at East West Players in Los Angeles. He is an experienced teaching artist, facilitating workshops and creating performances with youth and adults from all over the world. Ova was one of six playwrights selected to write for Our American Voice a part of the Smithsonian Institutes’ exhibit I Want the Wide American Earthat the Japanese American National Museum exploring Asian American immigration. He has worked with national theatre companies:Children's Theater Company in Minneapolis Dragonwings and Center Theater Group’s Wondrous Tales of Old Japanand East West Players Twelf Nite O’Wateva. Prior to TeAda he toured colleges, universities, and primary schools with Asian American led hereandnow theater company, and children’s theaters We Tell Stories and Waters Edge Theater. Film credits include Disney’s Pirates of the Caribbean: World’s End,Love is Good, Burmese Refugeeand Seeds of Hope. Ova is an actor, teaching artist and associate artistic director with TeAda Productions. He is a refugee from Laos and raised in Honolulu, HI in the neighborhood of Kalihi and lives in Los Angeles, CA. He received a B.A. from the University of Southern California School of Dramatic Arts and has performed nationally with theater companies. He has worked in film and tv notably in Disney’s Pirates of the Caribbean:World’s End.He is simply a complex talent with a deep love for the theatre. Ova is excited to grace the stage at Brava Theater Center in such an important and timely production. He hopes this play will empower people to spread the aloha. Jermine was born on the island of Saipan the largest island of the Northern Mariana Islands, a commonwealth of the U.S., but raised on the island of Hawaii. He is familiar with a lot of traditions through his culture, especially dances. Jermine has danced for several cultural groups including other Federated States of Micronesia, Marshall islands, Samoa, Fiji and Hawaii. He also enjoys spending time with friends and jamming out on the ukulele. He is a proud graduate of Farrington High School and an alumni of local theater company T-shirt Theatre. He is currently a freshman in college studying as an aeronautics maintenance technician, his goal is to get an associates degree in science and build airplanes so he can fly his family from Saipan to the land of new beginnings. Maika’i ke akua, aloha. Jayceleen is a native of Chuuk, one of four Federated States of Micronesia. She arrived in her new land of Honolulu, Hawaii and was raised in Kalihi, known as a rough and tough neighborhood. She is a graduate of Kalaheo High School and continues to pursue a Sociology and Political Science degree at the University of Hawaii. In the midst of negativity, she clung to her role models, leaders in the community who showed her to hope and believe that anything is possible, even for a small island girl. Jayceleen wanted nothing more than to share these same lessons to the next generation of Micronesian youth. Currently, she is a Youth Worker at Susannah Wesley Community Center, in the heart of Kalihi. This center creates a safe and positive environment, where the kids can be comfortable with practicing and learning about their culture and language so they can flourish. 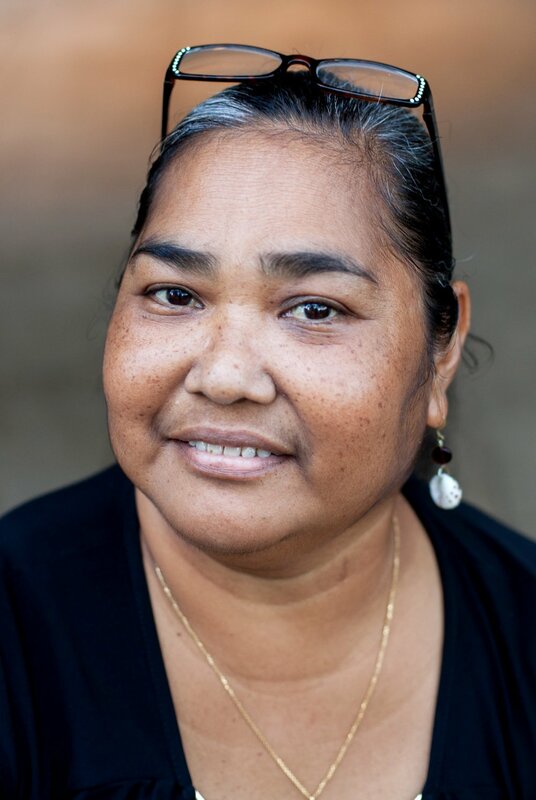 Emerald grew up on the island of Kosrae, where she was born in the one and only hospital! She has been to many other islands but will always consider Kosrae her home. Emerald’s family is half American, half islander. Her family’s cultural style is a mixture of Kosraean and American. She celebrates many American traditions and also celebrates and shows full respect towards island cultures and traditions. In her free time Emerald enjoys doing many things depending on where she is in Kosrae, she fishes with her relatives and hikes or tosses a baseball around with her friends. On Chuuk she enjoys running and training with her friends.